Home / Econbrowser - James Hamilton / I Spent a Couple Trillion Dollars, and All I Got Was Trend Employment Growth! Reader JBH writes: “Employment has done marvelously well under this president.” I laughed and laughed and laughed when I read this. Why? 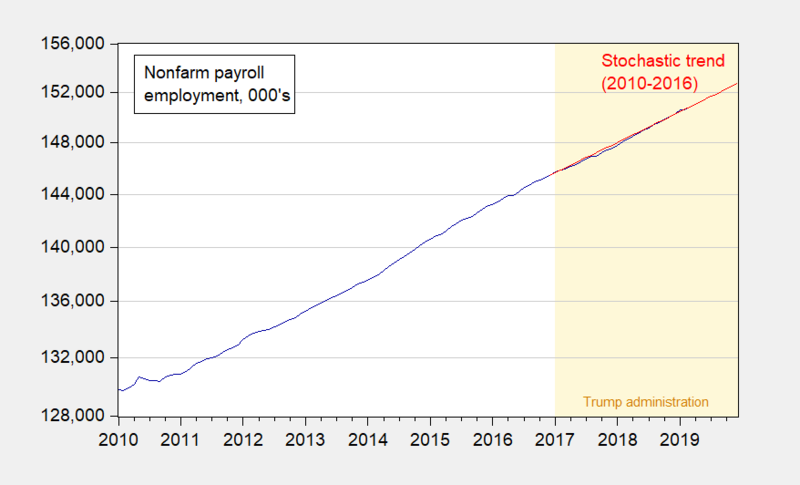 Take a look: Figure 1: Nonfarm payroll employment (dark blue), and stochastic trend (red). Stochastic trend estimated using 2010-2016 data, and regression of first log difference on a constant. 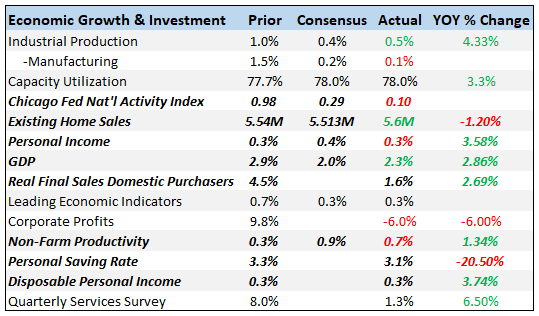 Source: BLS March 2019 employment situation release, and author’s calculations. We are doing as well as we were from 2010-2016, even after massive tax cuts and the end of spending restraints amounting in the trillions. But kudos to JBH for livin’ in a fantasy world … it for sure is more pleasant than my world. Thanks, Drumpf! Previous Why Is the Structural Budget Deficit Blowing Up Since Trump?